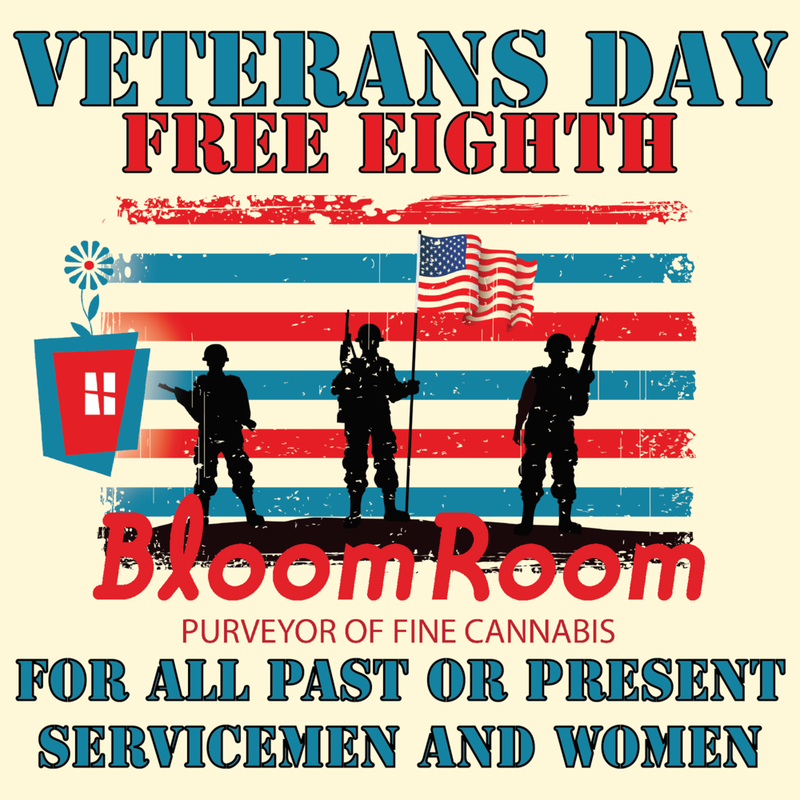 Bloom Room is giving away a FREE EIGHTH to all Veterans on Veterans Day! Please help us spread the word and invite any Veterans who have their medical cannabis recommendations to visit the Collective. All past or present Servicemen and Women, please bring any documentation of your Service and receive any $25 Eighth of your choice!